Porosity refers to how well your hair is able to absorb and hold moisture. It is affected by the flexible outer hair layer called the cuticle, which determines how easily moisture and oils pass in and out of your hair. For most, porosity is genetic, but it can also be affected by external factors such as exposure, heat treatments and chemical processing. Knowing your hair's porosity can help you choose the right products to keep your hair well-moisturized, supple, strong and shiny. There are two methods you can use to find out how porous your hair is. The Float Test: Take a couple of strands of hair from your comb or brush and drop them into a bowl of water. Let them sit for 2-4 minutes. If your hair floats, you have low porosity. If it sinks, you have high porosity. The Slip'n'Slide Test: Take a strand of hair and slide your fingers up the shaft (toward the scalp). If you feel little bumps along the way, this means that your cuticle is lifted and that you have high porosity. If your fingers slip smoothly, then you have low porosity hair. Hair with low porosity has a tightly bound cuticle layer with overlapping scales that lay flat. This type of hair is usually considered healthy, and is often very shiny, especially when it's dark in color. Low porosity hair repels moisture when you try to wet it and is hard to process since it resists penetration of chemicals. Low porosity hair is also prone to build-up from protein-rich deep conditioning products, which can leave it feeling stiff and straw-like. Stick to protein-free, daily conditioners with humectants such as glycerin or honey. Use moderate heat with protein-free deep conditioning treatments to help open up the tightly bound cuticle. Low porosity hair requires moisturizers rich in emollients such as shea butter, jojoba oil, coconut oil and mineral oil. It also benefits from humectant products, which attract and hold moisture to your hair. Choose lighter, liquid-based products such as hair milks that won't sit on your hair and leave it oily or greasy. Scalp care is the key for healthy hair. Hair with medium porosity often requires the least amount of maintenance. The cuticle layer is looser, allowing just the right amount of moisture to enter while preventing too much from escaping. Hair with normal porosity tends to hold styles well, and can be permed and colored with predictable results. Over time, however, these processes can damage your hair and increase its porosity. 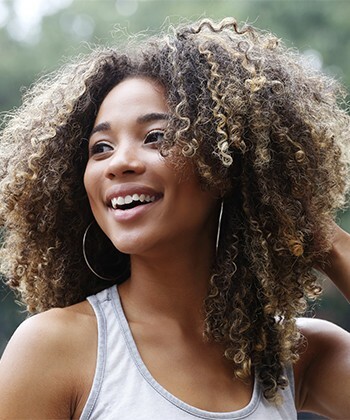 Occasional deep conditioning treatments with protein conditioners can benefit medium porosity hair, but proteins should not be included in your daily regimen. 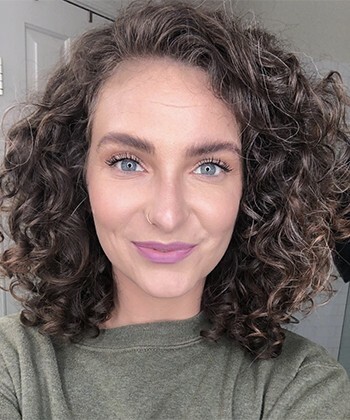 High porosity can be either an inherent property of hair or the result of damage from chemical processing, rough treatment or environmental damage. High porosity hair has gaps and holes in the cuticle, which let too much moisture into your hair and leave it prone to frizz and tangling in humid weather. Even simple acts such as bathing, swimming and shampooing can create more damage and breakage due to the sheer amount of moisture highly porous hair can absorb. Be sure to use anti-humectants in climates with high heat and humidity. This will help seal your damaged cuticles and prevent them from absorbing excess moisture in the air. Because highly porous hair can also lose moisture easily, it's important to use leave-in conditioners, moisturizers and sealers. Layering these products will help your hair hold on to the moisture you're giving it. You can even follow up with a heavy hair butter to help fill the gaps in your damaged cuticles and further protect your hair from losing too much moisture. You Still Don't Know Your Hair's Porosity?